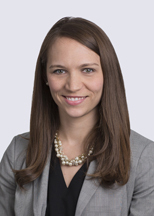 Meredith Ervine is a corporate attorney focusing her practice on securities and corporate governance matters. Over the course of her career, she has worked on more than 65 securities offerings involving more than $11.3 billion. She has experience representing clients across many industries on securities issues, mergers and acquisitions, and general corporate matters, focusing primarily on public and pre-IPO companies.